Police this week reached out to the public for help in locating a known suspect wanted in connection with a subway robbery pattern spread out over two Queens precincts and two Brooklyn precincts. Cops on Monday identified the alleged perpetrator as Richard Brown, 21, and described him as a black man, approximately 5 feet 10 inches tall, 160 pounds, with brown eyes, black hair, and tattoos on his face, neck, and hand. 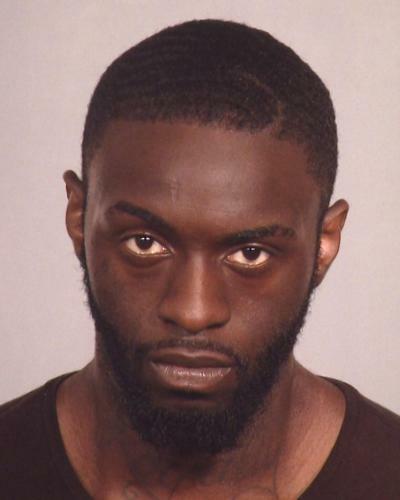 According to investigators, Brown has struck at least five times, beginning on Aug. 15 in Forest Hills, when he approached a man waiting on the southbound platform of the 75th Avenue E, F station, threatened him by saying he had a gun, took the man’s cell phone, and ultimately forced the victim to detrain at 71st Street. Cops have also attributed a Sept. 17 incident to Brown in which he allegedly threatened a young man at the Boyd Avenue and 88th Street A-Train stop in Ozone Park by stating he had a firearm and stole the man’s iPhone 6. Brown allegedly pilfered four more smartphones from victims at Brooklyn A and J stations in the last three attacks in the pattern. Anyone with information regarding these incidents is asked to call Crime Stoppers at 1-800-577-TIPS (8477). The public can also submit info by logging onto NYPDCrimeStoppers.com, or by texting their tips to 274637 (CRIMES) then enter TIP577.